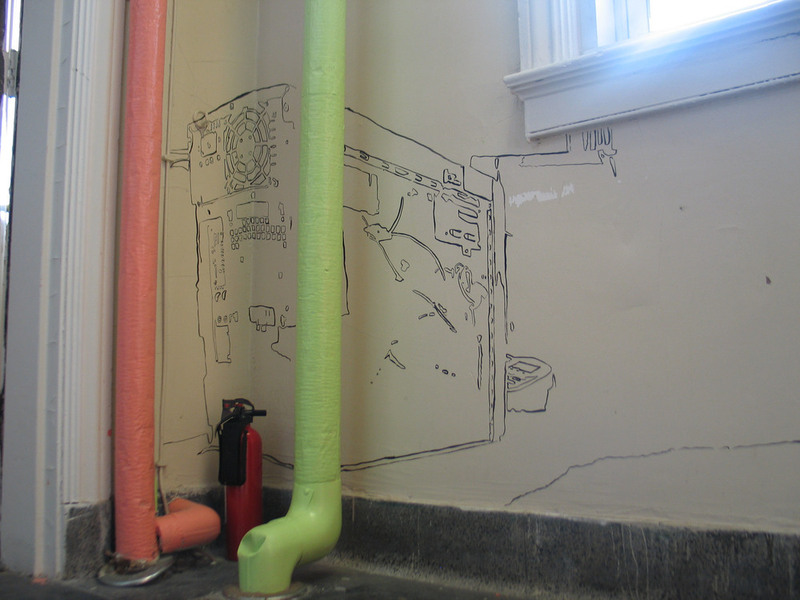 Blank walls serve as a canvas for dissolving images. 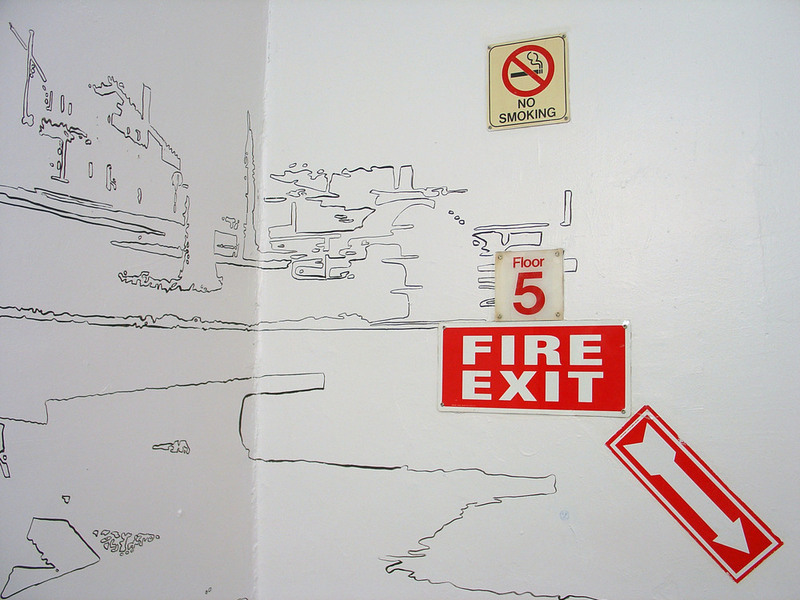 Each wall drawing was executed with a brush and black ink. 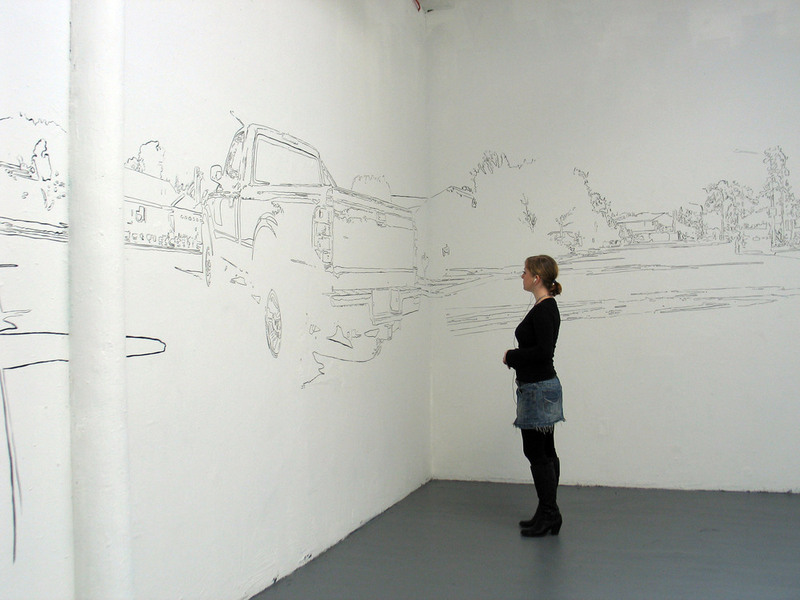 The drawings depict dissolving suburban landscapes, office spaces, and automobiles.